The Soundcraft Vi1000 digital mixing console represents the culmination of the groundbreaking achievements and rich feature set offered by Soundcraft's acclaimed Vi Series—now in a more compact form factor. The reduced footprint of the Vi1000 makes it ideal for smaller touring projects, rental companies, corporate AV applications, as well as music venue, theater and HOW installations in search of a versatile digital mixer. 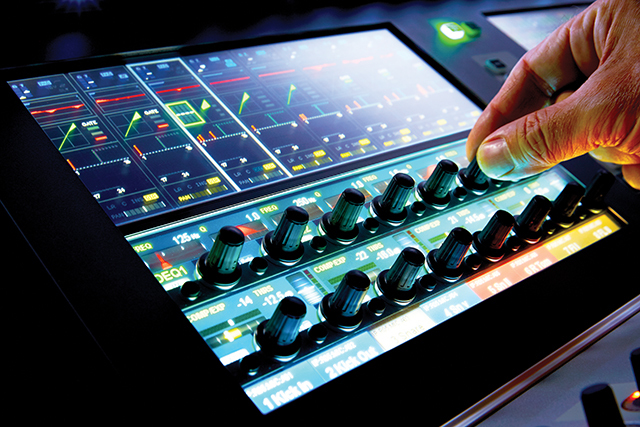 Among its many features, the Vi1000 incorporates Vistonics II 'knobs-on-glass' functionality, making it easy to see and access the power and versatility of the mixing environment; along with Soundcraft Faderglow™ colour coding, which illuminates the fader slots according to function using clearly defined colours. Offering pristine audio quality, a wealth of functionality, an intuitive user interface for streamlined operation, and the roadworthy reliability that Soundcraft's Vi Series consoles are known for, the new Vi1000 delivers space saving, world-class audio mixing capability. All the cutting-edge features in the world mean little if a mixing console isn’t intuitive to use. Recognizing that many audio engineers are freelance technicians, the ability to sit down behind the console and quickly and easily grasp its layout and functionality was of paramount importance throughout the Vi1000’s design phase. With this in mind, Soundcraft engineers made easy-to-understand, streamlined operation a priority. From its Vistonics II and Faderglow integration to the inclusion of built-in microphone monitoring, every aspect of the Soundcraft Vi1000 exudes painstaking attention to detail—ensuring a mixing environment that inspires one’s best efforts. Central to the Vi1000’s intuitive design is the Vistonics II ‘knobs-on-glass’ user interface. With Vistonics II, each control is always clearly labeled as to its function, despite their assignable nature. The functions are colour coded and use icons to clearly indicate the parameter being adjusted—whether it’s a signal level, filter frequency, or attack/release time. A simple touch of the screen is all it takes to access all the parameters associated with a particular channel strip. The amount of information presented in an easy-to-read format enables you to quickly scan the entire desk and see all channel strip settings at a glance—an inherent capability of analog consoles, but sadly lacking on most digital consoles. The SpiderCore DSP engine used in the Vi1000 runs the same 40-bit floating point audio processing algorithms found in Studer’s high-end broadcast consoles–ensuring pristine audio quality. This engine mixes FPGA and DSP technology in a unique combination that maximizes I/O routing and DSP mixing capability and also includes dedicated Lexicon multi-effects processing chips. The SpiderCore engine provides a total capacity of 96 channels to mix, and 24 mono or stereo mix busses, configurable as auxiliary, group or matrix, plus the main LR and C busses. 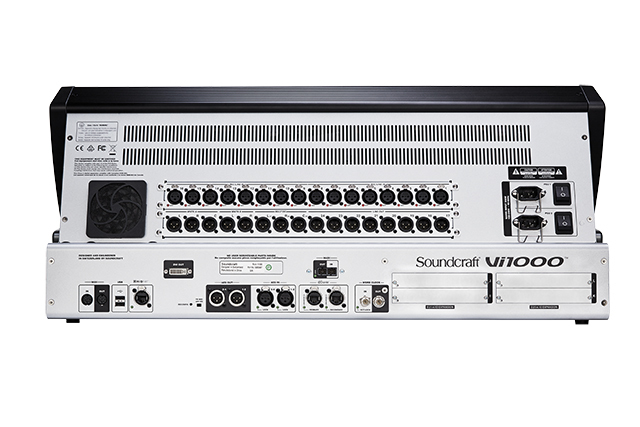 Linked directly to the SpiderCore DSP engine, the Vi1000’s comprehensive I/O system provides a total of 212 x 212 simultaneous inputs and outputs. These comprise 16 channels of on-board HQ mic preamps, 16 on-board line outs 2 pairs of AES/EBU inputs and outputs and a 64ch MADI and Dante recording interface. In addition, two double expansion card slots provide industry standard audio networking protocol support and stagebox connection. Optional I/O expansion cards can be chosen from the extensive ViSi Connect range, which include MADI, Dante, Aviom®, Rocknet™, BLU link, SDI, TDIF, ADAT and other industry-standard formats. 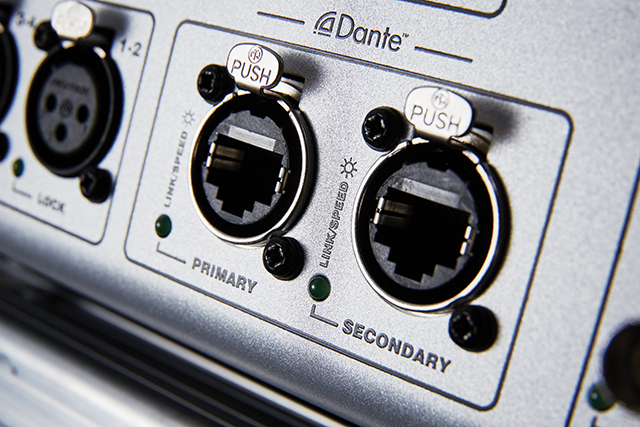 Dante networking—the uncompressed, multi-channel digital media networking technology with near-zero latency and synchronization—is standard issue on the Vi1000. This interface provides an instant connection to the popular, industry standard audio networking protocol and makes recording and virtual sound check tasks quick and easy. Lexicon reverb and delay effects have long been recognized as the standard by which all others are judged. With the Vi1000 digital console, the industry’s best reverb and delay come standard—ready for use anytime, and reminiscent of the unparalleled Lexicon PCM81 Multi-Effects Processor, known for its smooth, natural sounding reverb. For years, the BSS DPR901II dynamic equalizer has been known for its superior performance. While this classic analog audio problem solver has been imitated by all BSS’ competitors, none have matched the overall quality of the original. Onboard Soundcraft Vi consoles, users will find the only officially-approved digitally modelled version of the original—further contributing to this console’s superior audio performance. Mix engineers will certainly appreciate the built-in monitoring support for wireless microphone systems from AKG (WMS & DMS), Shure (ULXD/QLXD) and Sennheiser (6000 series). This capability makes it easy to check battery power, RF levels, plus the mute and clipping status of the attached wireless microphones—right on the channel strip that controls each mic. With the Vi1000’s included vMIX Automatic Microphone Mixing capability, engineers can automatically mix up two separate groups of up to 16 microphones in conference or theatrical applications to free up hands or reduce the number of snapshots needed to control ambience in multi-mic speech applications. vMIX comes directly from high-end Studer Vista broadcast consoles and is another key system attribute that streamlines workflow. 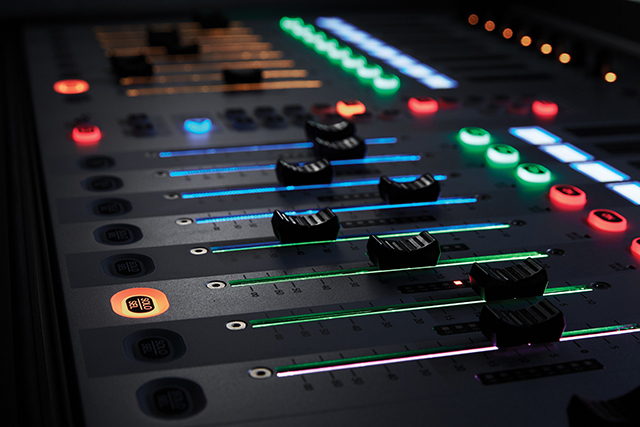 With Faderglow technology, colour coding of the Vi1000’s faders help audio engineers avoid costly mistakes caused by adjusting the wrong parameter after changing layers. Fader tracks are illuminated in colours that integrate with the Vistonics screens to provide quick, at-a-glance information. Regardless of whether a fader is assigned to Matrix outputs, sends on faders, VCA groups, or graphic EQ, Faderglow makes it quick and easy to identify what function is being controlled by what fader at any given time. The Vi1000 incorporates the same electronics and mechanical frame design found in the larger Vi consoles. The benefit? Proven road-worthy performance and reliability. We realize a digital console is a serious investment and, hence, expectations are high. The Vi1000—like all Soundcraft Vi Series mixing consoles—is designed to deliver unparalleled performance.